The expression of this theory is revealed in Composition Abstraite, circa 1970, a precious jewel-like example of Germain's mature work. 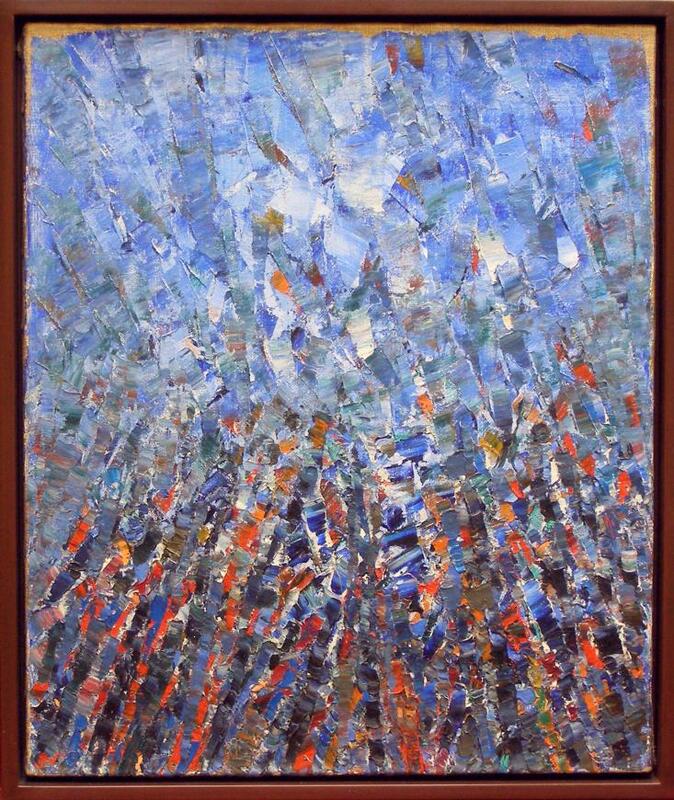 On this canvas Jacques Germain creates a waterfall of vivid blue rectangular surfaces that seem to accumulate at the bottom of the painting in an "explosion" of small colorful shapes defined by quickly applied strokes or streamers of shooting lights that intersect to create a vibrant surface bursting beyond the veritable confines of the painting. Many of these rectangular forms which form the "core" of the canvas are ignited by touches of vibrant - almost fiery- colors of oranges, reds, and golds. Germain has applied these resplendent iridescent colors to the canvas in deliberate and rhythmic albeit rapid brushstrokes to enliven and to electrify the picture, a personal technique which heightens the expression of the work as well as creates a most intense design flow. As all is not chaos in nature, the same holds true for Germain's works which have patterns, textures, and rhythms that contribute to this physical sense of movement radiating from the composition which is unencumbered by any pre-conceived formulas. 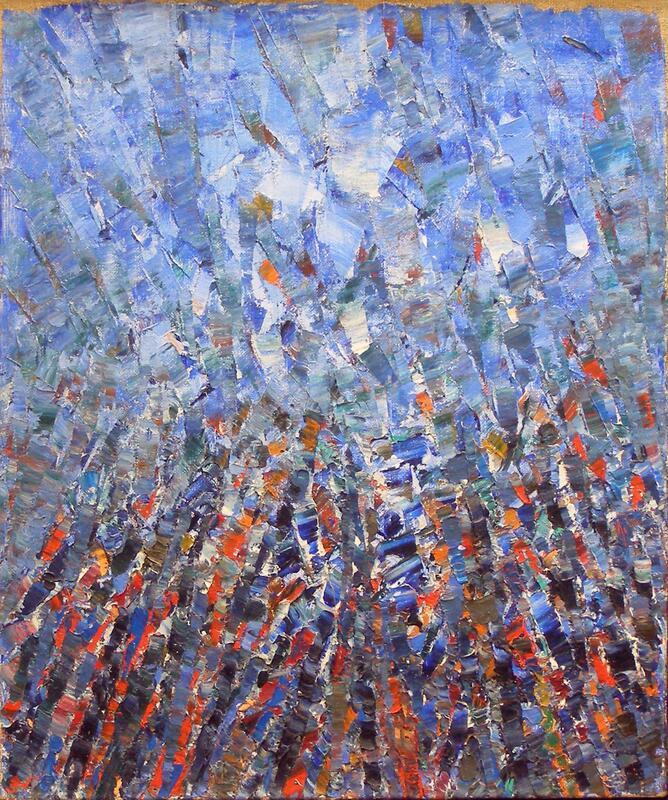 These lively charged depictions of small intense rectangular surfaces coupled with the quick arcs and rapidly applied strokes would become Germain's signature style of fluid, lyrical painting and would help to establish him as one of the leading post-war painters.